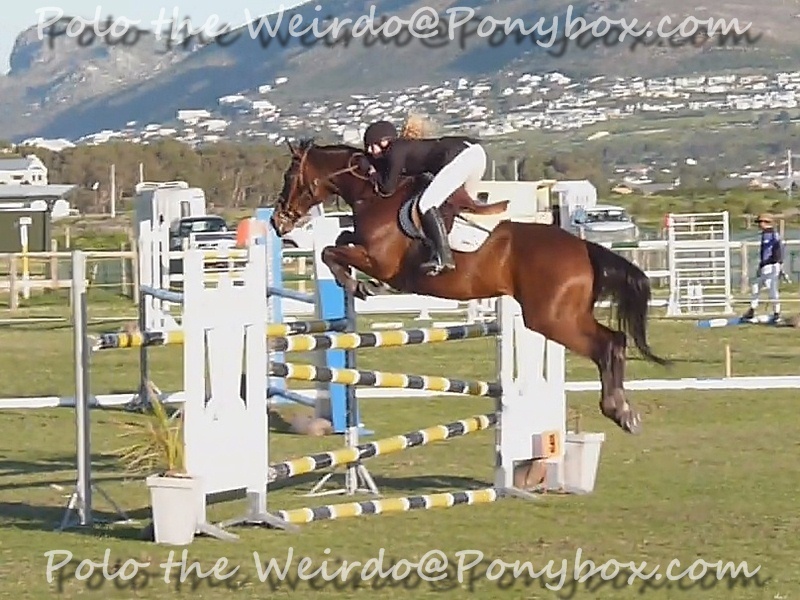 For those of you that don’t remember, Finola is my top jumper. 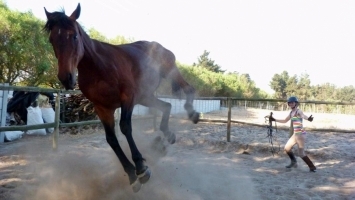 She’s a thoroughbred mare, and yes, she does act it. She’s quirky from hoof to tail – both of which she tends to hurl in every direction when she gets annoyed with me, which is most of the time. 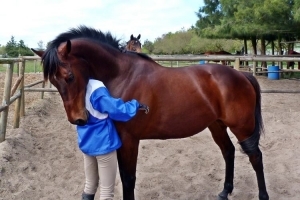 I got Finola off the track in 2004, and although the two of us together knew less than nothing, by some miracle we managed to learn the tricks of the trade without completely destroying each other – though not for lack of trying on dear Finola’s part. By 2006 we had started competing, and by 2008 we had made a name for ourselves by winning regularly at 1,20m. Sadly, by the end of that year, Finola had had enough. Most of you know the story: How Finola simply fell apart and started refusing, and how every year after that we’d work and work to get her right, just to have the whole pattern start all over again. 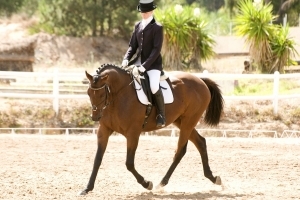 Finola is that horse that will win a 1,30m class with her eyes closed when she’s on form, but when she’s not, she’ll dig in her heels and strongly suggest that if you want to go over the jump so badly, you ought to do it solo. After she broke down the first time, I had Finola stabled away from home for special care and fancy facilities, but since her pattern of going and stopping just stayed the same, I decided at the beginning of this year to bring her home. Thus, we started from scratch. After being left off for the last few months of the previous year, Finola had dropped some weight, so I began by working out a new feeding schedule for her to get her properly conditioned for work. Her hooves were also in a bit of a state, but with some of my regular farrier’s magic work, we soon got that sorted out. Finola’s rehabilitation process was a long one. 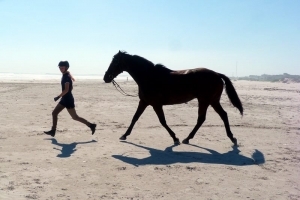 Weeks upon weeks of roadwork to strengthen her tendons and build muscles, and still weeks more of gentle schooling until she was ready to really hit the flatwork hard. At the beginning of the year, Finola had come back relatively unschooled, but after what I can only describe as a ‘schooling bootcamp’, I eventually took her on her first little outing, and came back with a rather surprising first and second place in preliminary level dressage. A good few months of schooling and fitness work later, it was time to start jumping Finola again. Naturally, we had to start small. I lost count of how many hours of gridwork I did with that horse. Bascule poles on every fence, alternating distances, keeping grids varied in a desperate attempt to hold the attention of a horse so intelligent that I honestly wish I could let her write my maths exams for me... 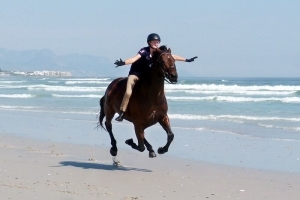 It was hard work, but it strengthened Finola, and at last she was ready to really start jumping. 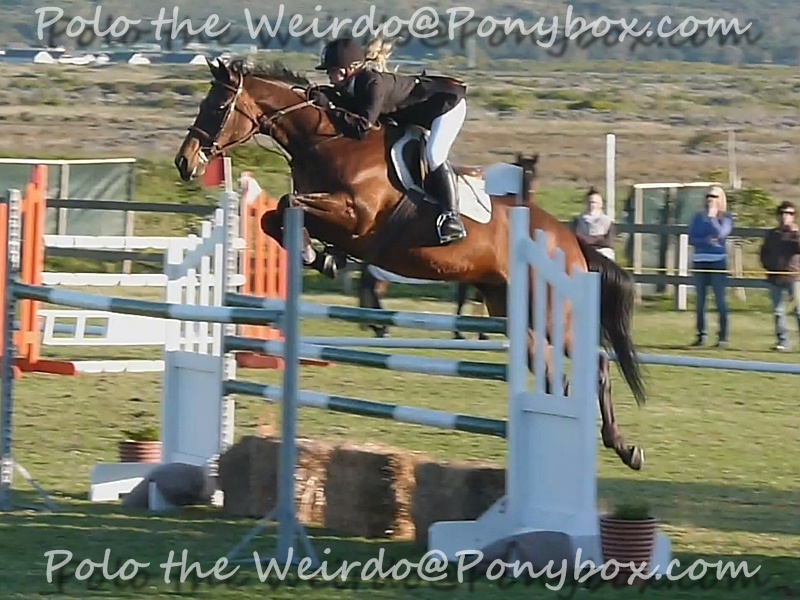 I took her on several little outings to practice jumping in different places, and eventually she was ready for her first show of the year – where she went straight in at 1,20m. It was not a bad first show back. We had a few poles down, but Finola seemed happy, and that was half the battle won. Still, it was worrying that when she felt 100%, she just wasn’t jumping her best. Over the next week, I got the chiropractor out to fix Finola’s back, and organised for her to get a shot of Legend to cushion her joints, and gel pads in her hooves to help concussion. Being the star she is, Finola demands star treatment, of course. Luckily, in the end, it all paid off. Last weekend, Finola was back in 1,30m for the first time this year. With it being only our second show back, I admit I was nervous. I had no idea if we were ready, or if Finola would let me down at the last minute as she has done so many times before. Waiting for that class to start must have been one of the most stressful moments of my life. I had no idea what would happen, and after all the hard work I’d already put in, I couldn’t bear the idea of everything being all for nothing. Luckily, Finola had my back. The first jump was a little upright, barely worth mentioning – the second jump was a monster of an oxer off a horribly tight turn right beside the gate. Coming into that jump, I fully expected Finola to just stop and throw in the towel – but suddenly my game little mare was back – and she was going to do her job, with or without me! 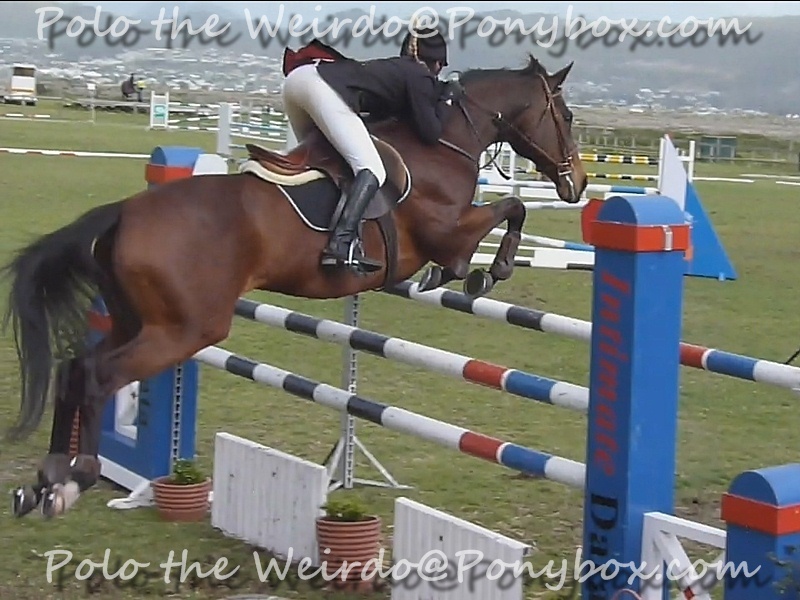 Finola threw such a massive jump over that oxer that she nearly jumped me right out of the saddle. When I say she cleared it by a foot, I’m not exaggerating in the slightest. 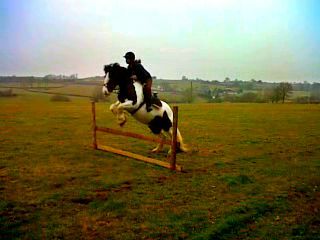 It was huge, and frankly I just wasn’t expecting my ‘minimum effort mare’ to make such a spectacle of the fence. Then again, it was her time in the ring, and Finola knew it. They call it ‘show’ jumping for a reason, don’t they now? I don’t know if you’ve ever ridden a 1,30m course – but let me tell you, with jumps that big and courses that tight, the next fence is on you FAST! I had to sit up and catch my balance in a heartbeat; but I was ready for Finola at the next jump, and suddenly we were flying. I can’t even begin to explain the amazing feeling of having ‘My Finola’ back. That silly little mare and I have always had an inexplicable partnership that really shouldn’t work, but somehow it just does. We just get each other, and when we’re facing a big course, we’re working as a team. 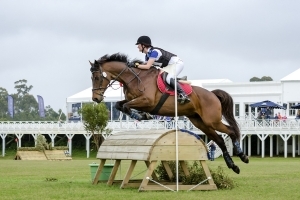 The way Finola behaved – taking all her turns as sideways as a crab, and fly-leaping through the related distances – we should have had every pole on the course down, but that’s the funny thing about Finola. What ‘should’ happen has never particularly mattered to her. She does things her way, and if her way is wrong, she’ll be quite happy to listen to you preach about it while she’s leading her lap of honour. About half way through that first course, I finally started to realize that Finola was not going to let me down. When this fact finally sank in, I think I must have looked quite the fool – because I went around that course grinning like a Cheshire Cat, and telling Finola over and over just how amazing she is! In the end, through a lapse of concentration of my part, we had a single pole down – but for our first show back in 1,30m, I was over the moon. 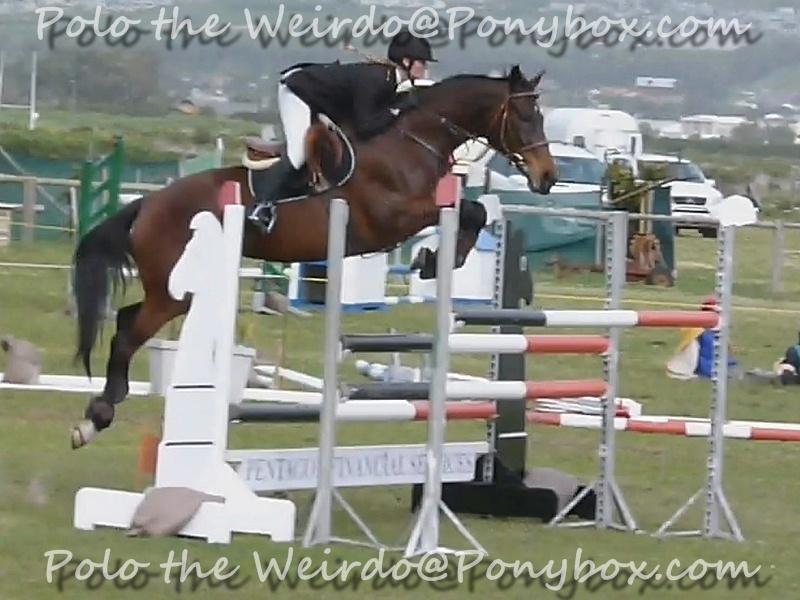 And to make things better, being a special sort of show, we still went through to the jump off. After producing a lovely clear round, Finola finished first in the class, and went in to collect her prize looking as bored as I’d ever seen her. The next day brought another win, this time with a double clear, and by the end of the weekend, one thing was blatantly obvious: Finola is back. After years and years of hard work and disappointment, my special girl and I are a team again, and no matter what happens throughout the rest of the year – we made it. Right from the start we’ve been the underdogs – going against the odds and challenging the conventional way of doing things... But that’s the funny thing about Finola. 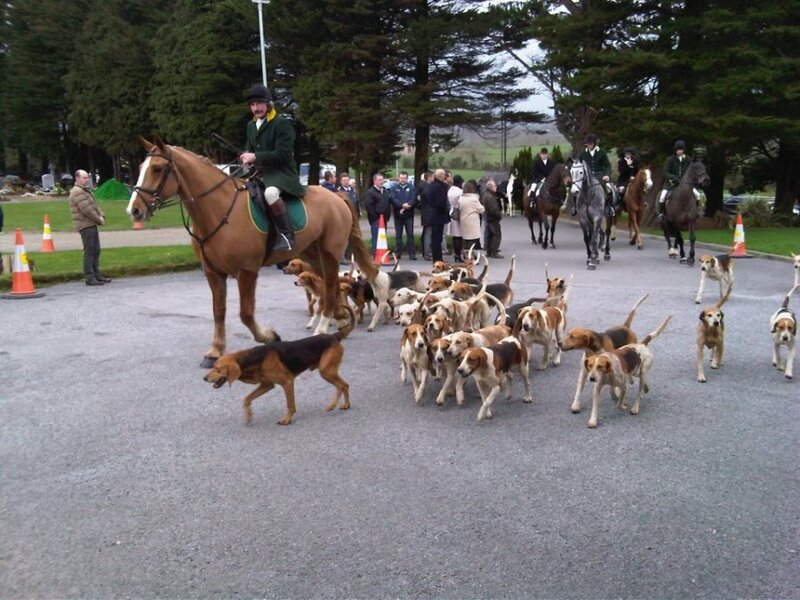 She doesn’t care what the odds are, or what sort of top class horses she’s up against. 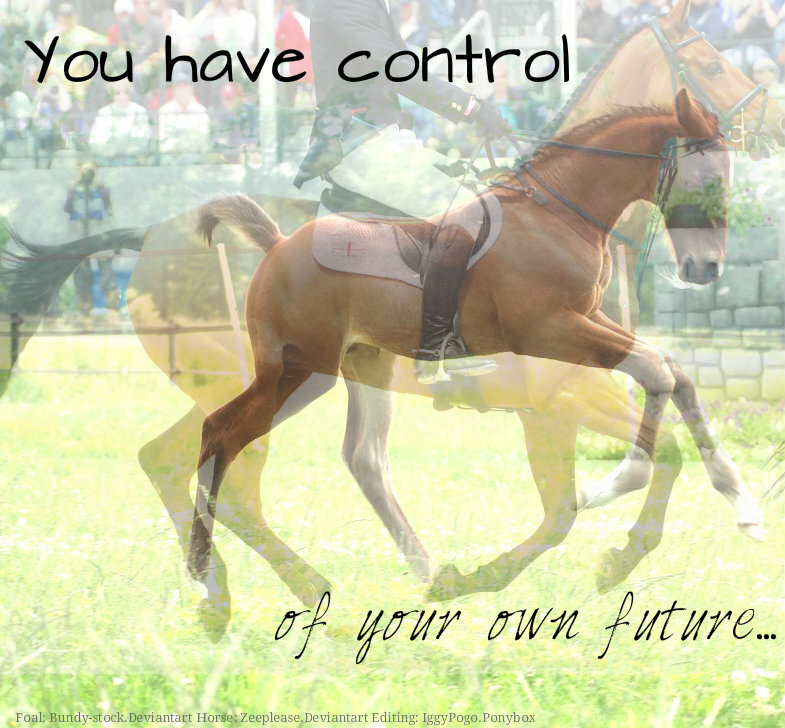 She’ll succeed anyway, because when that horse sets her mind to something – there’s just no stopping her. Not now, not ever. 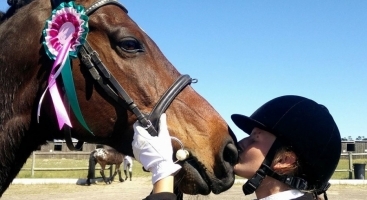 You and your horse are amazing!